Multipurpose rotating rack for books, CD’s, DVD’s, etc. 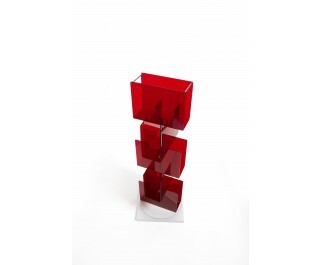 Made of polished methacrylate, available in transparent and red color. Painted wooden base of aluminum color.